Australian rally champion Nathan Quinn hasn’t totally given up on making it to the fourth round of the Brian Green Property Group New Zealand Rally Championship in South Canterbury but admits it will be a long shot. 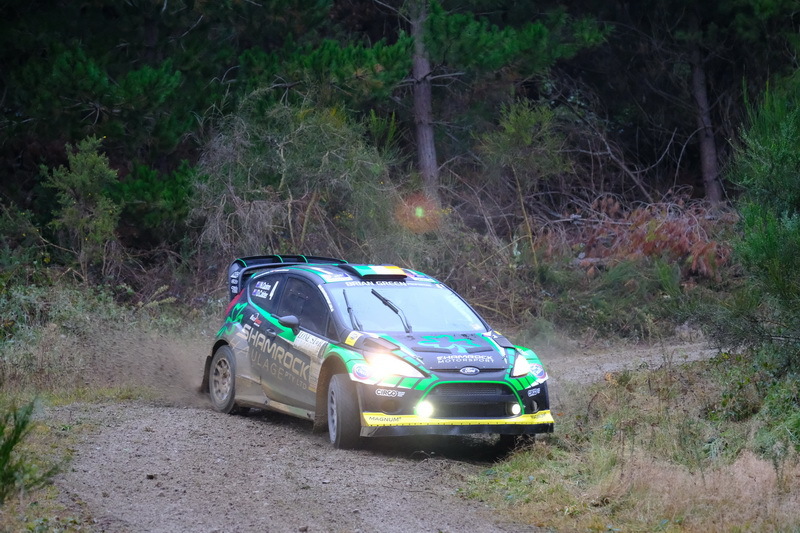 Quinn has impressed in his two outings in the NZRC this year – finishing third at ENEOS International Rally of Whangarei in the Ford Fiesta R5 before being runner-up at Lone Star Rally Canterbury on Sunday guest-driving Richie Dalton’s Ford Fiesta Proto. While he is super keen to compete in the NZRC he is going to pushing it to make the start line at Rally South Canterbury. Budget restraints are likely to limit him as will business commitments back in Australia. “We have a plan to do another rally but now we just see if all the stars line up for us,” Quinn said. “I would love to be there – we have got a car lined up – it is just a matter of making it happen. “It was pretty difficult particularly coming into the rain and looking at the roads,” Quinn said. “If it was dry I would have absolutely smashed it because I am quite good on that type of road. “I have had a fair bit of confidence issues with wet weather events in the last few years – I have kept that to myself because it can be a self-fulfilling prophecy. “Stage one was the first gravel kilometres in that car as well. “We set out to try and get the car to finish for Richie and Shamrock team so they can develop it and we did that,” a pleased Quinn added.